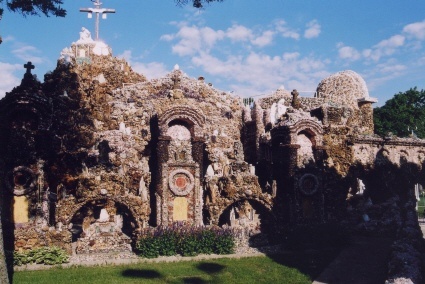 This amazing complex, considered one of the world's best visionary folk art environments, was built by a German immigrant Catholic priest named Paul Matthias Dobberstein. 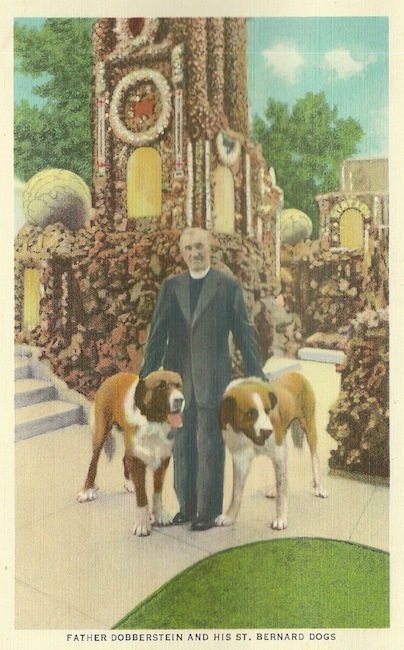 He came to America in 1893 and was trained in the priesthood in Wisconsin. 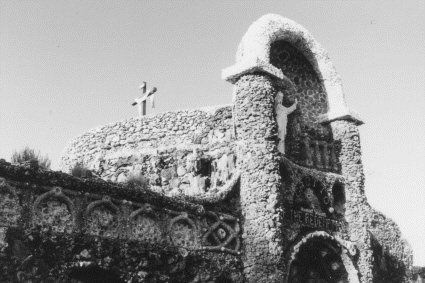 During his study at the seminary, Dobberstein nearly died from a severe case of pneumonia. 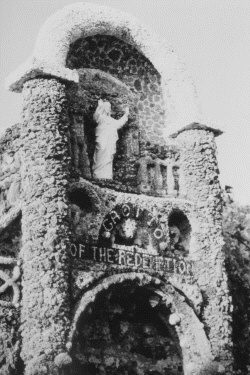 He promised that if he should survive, he would build a shrine in honor of the Blessed Virgin. 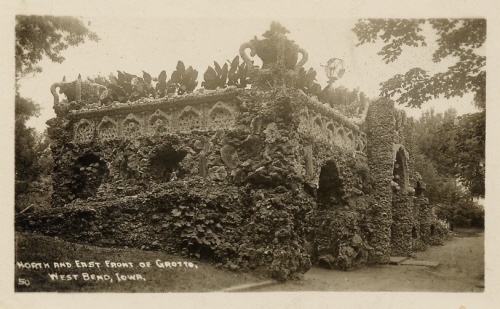 Following his ordination in 1898, Dobberstein was assigned to a Iowa frontier village located near a bend in the Des Moines River. 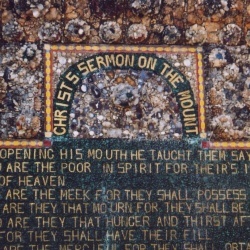 The small church of West Bend was adjacent to marshland, and in 1900 he purchased this property in order to build a park for church worshipers to enjoy following mass. 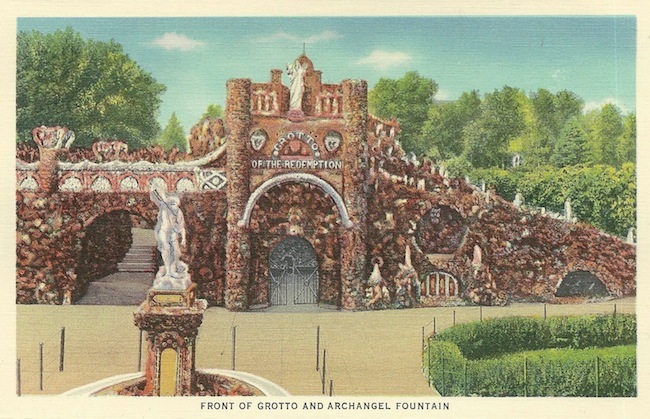 Following completion of the landscaped park and man-made lake a few years later, Father Dobberstein announced that he wanted to build a large shrine dedicated to the Virgin Mary, with the intent to teach about the Catholic faith, and to attract new church members. 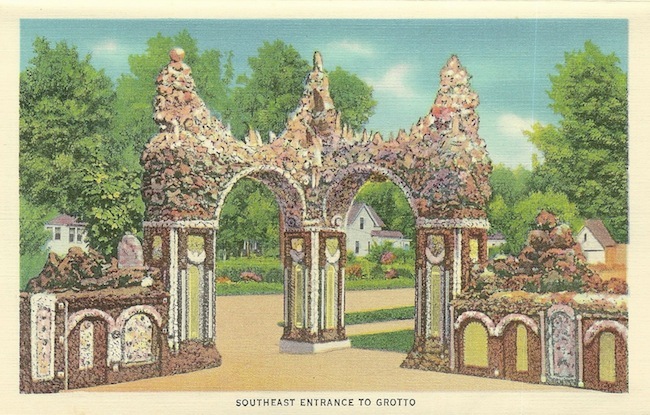 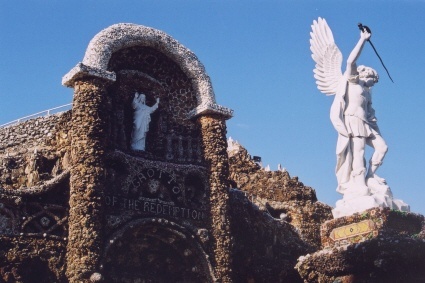 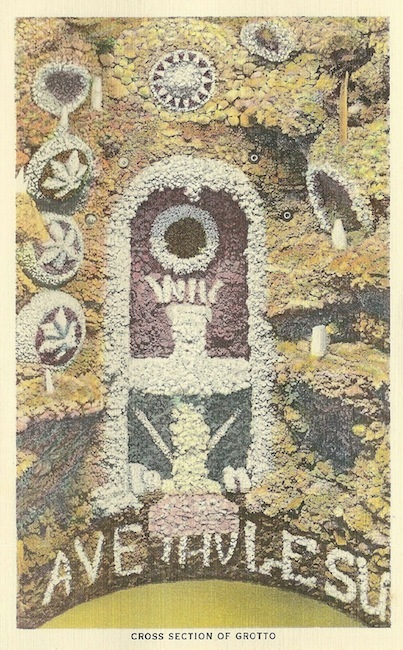 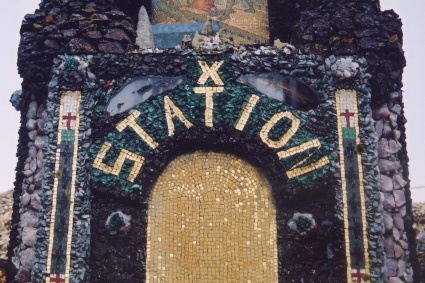 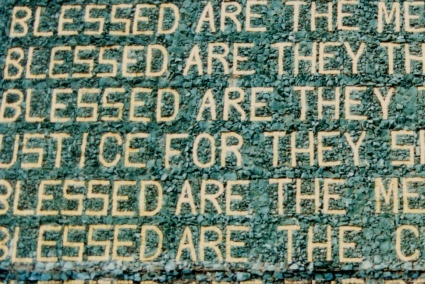 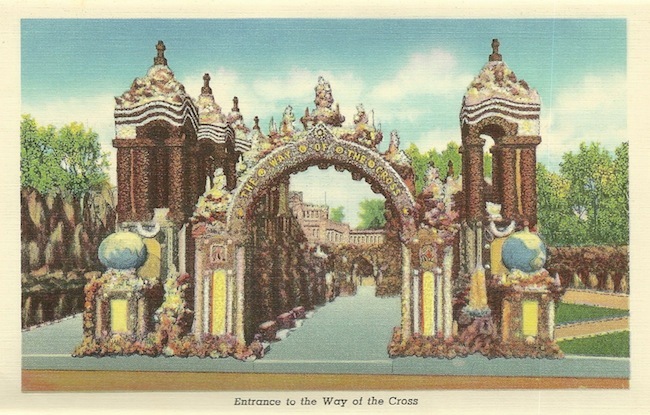 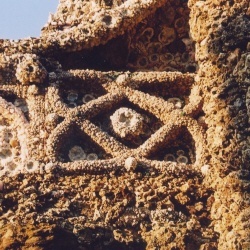 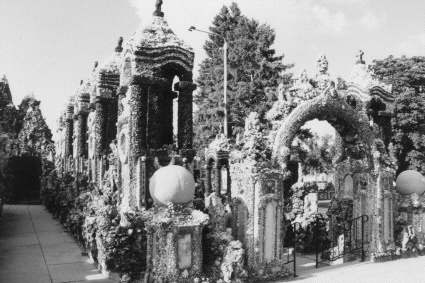 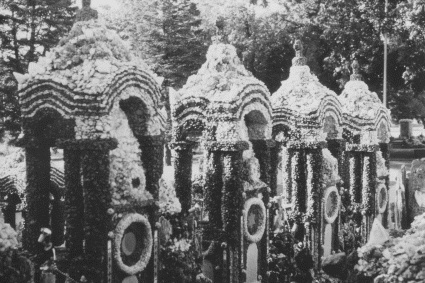 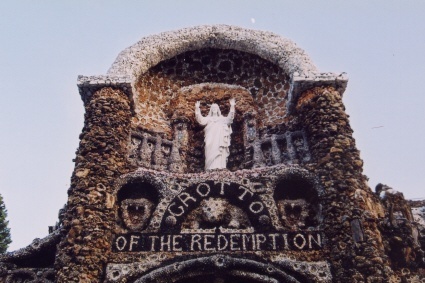 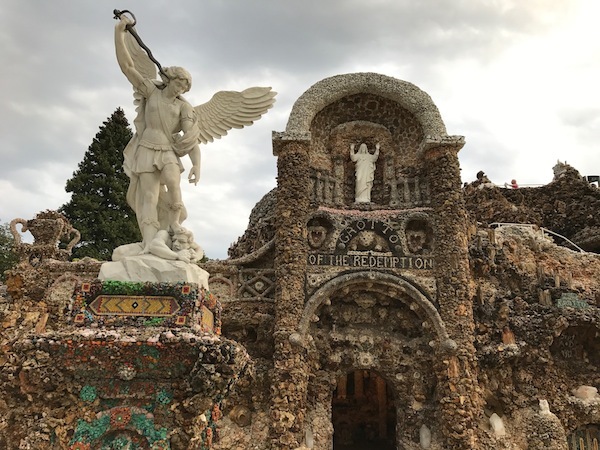 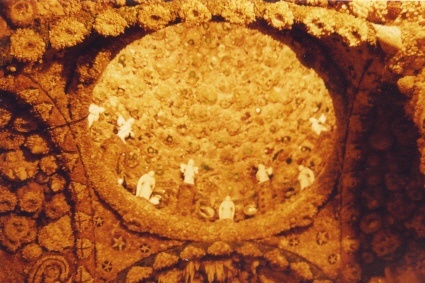 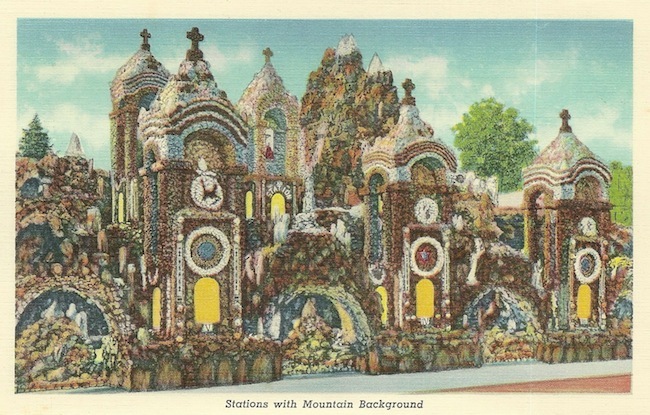 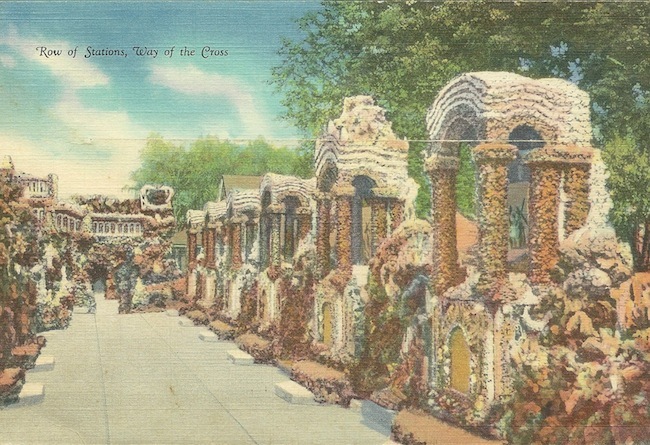 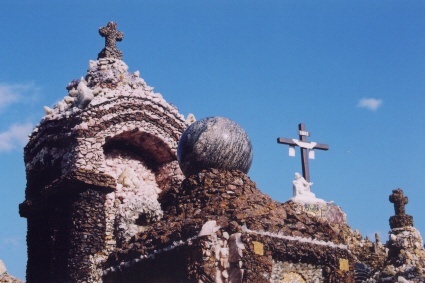 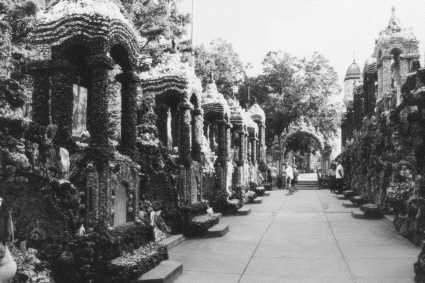 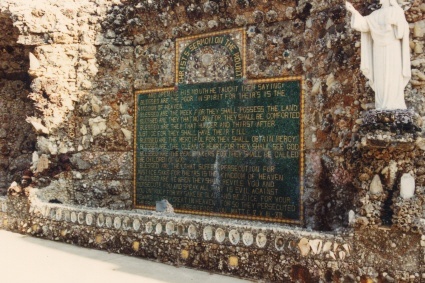 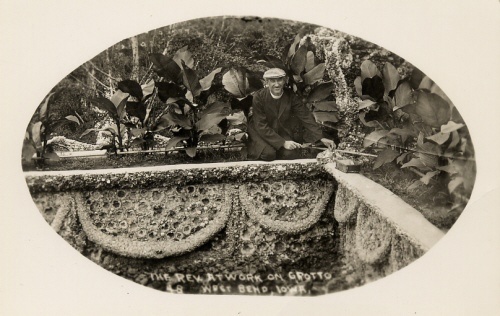 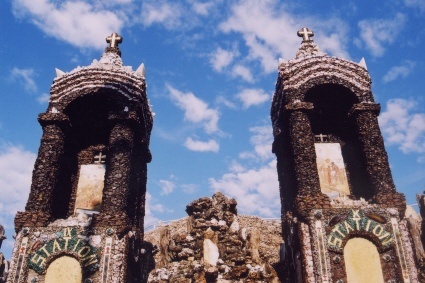 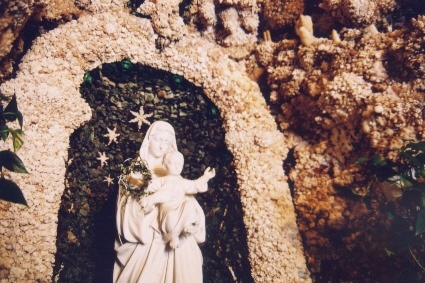 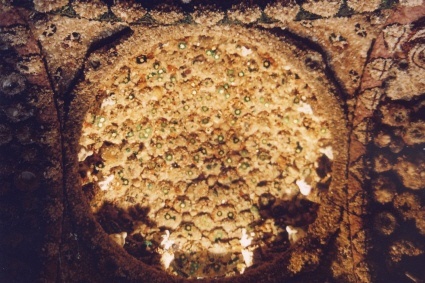 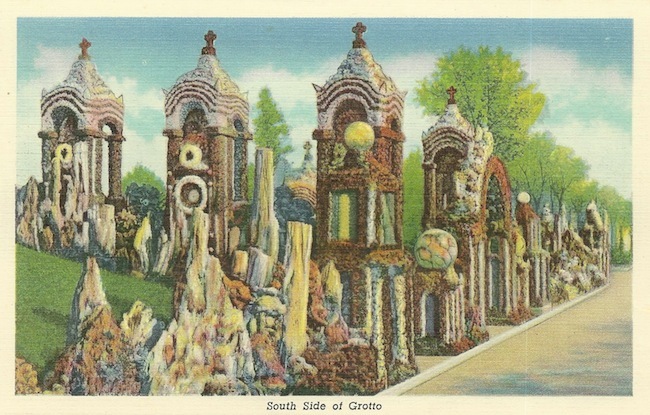 The Grotto was begun in 1912, and over the next forty-two years, Dobberstein worked day and night assembling rock, stone, and gems into an organic architectural complex of nine interconnected shrines illustrating the story of Creation, the Fall of Man, the Resurrection, and the Redemption.